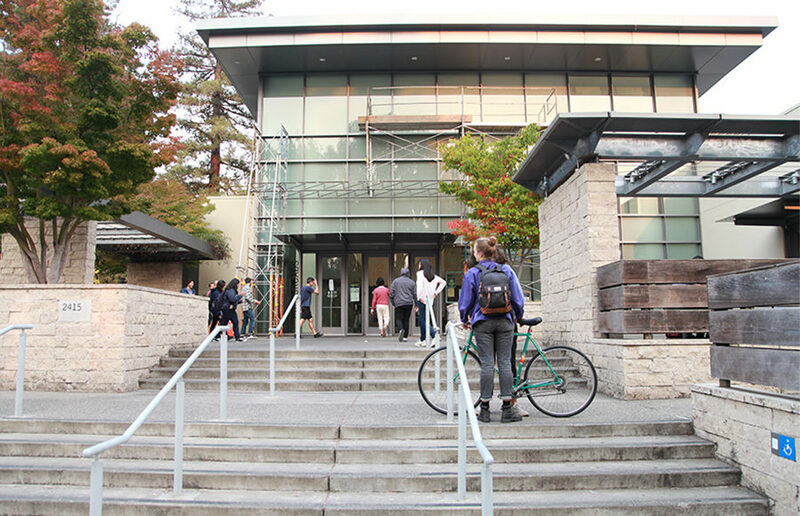 Quiz: Which UC Berkeley dining hall do you resonate with the most? Cal Dining is notorious here at UC Berkeley. Sometimes it’s a hit or miss eating at the dining halls. Are you just a guy being a bro like Crossroads? Or are you classy like Clark Kerr? Maybe you’re Foothill if you like being alone while you eat. More of a veggies person? You’re most likely like Café 3! We at the Clog want to help you on your journey to true UC Berkeley dining hall discovery. Take our quiz to find out which one speaks to you. It’s 10:30 p.m. on a Friday night. How is your night going so far? Party! Party! Party! I’ve gone through Theta Apple, Sigma Nut and now I’m on my way to Cappuccini Alpha. Studying for a midterm I have in three weeks. It’s never too early to start reviewing! Hanging out with a group of friends. Kickbacks are way better than f(rat)ernity parties! An apple! Super easy to pack, quick to eat AND compostable! It’s a win-win-win situation. Nature Valley bars! They’re fun to eat and distract me during class. Because they’re so crunchy, you kind of get to play a little game with yourself about how quietly you can eat. At the end, you can sweep the crumbs into your mouth. How fun! A pastry! They’re perfectly light and filling. It’s sweet enough to let you feel satisfied and not heavy enough to make you feel gross. Juices and smoothies, of course. Why spend extra time and energy chewing? Class starts in 15 minutes and the line for a bagel at the Den is too long, but you’re starving. What do you do? Grab a snack from the rack and go! I guess I’m late to class then! No way I’m leaving my bagel behind. Breakfast isn’t really that important, is it? I’ll get a coffee instead — that’s basically a meal! What’s your favorite meal at Golden Bear Cafe? I always get a burrito! Soup! Especially with Berkeley’s cold weather, nothing is better than a nice, hot cup of soup! Grab-and-go sandwiches for sure. I love spending $8 on a simple sandwich! The Asian chicken salad is the best. You see your crush in Crossroads, what do you do? I would not be caught dead in Crossroads — I care too much about my well-being. What’s your late night order? MOZZARELLA STICKS ALL THE WAY! Crossroads — you’re a simple person. People don’t necessarily love you, but nobody hates you either. You’re everyone’s go-to for sure! Café 3 — you’re an intellectual. You have a green thumb and want to be friends with everyone. People feel better just being in your presence. Foothill — eating alone is one of your favorite parts of the day. You like to be alone, but it’s a comfortable sort of alone. You have a good, close-knit group of friends. You all love watching the drama but never want to be involved. Clark Kerr — it’s always an event whenever you’re around. A lot of people know of you, but aren’t exactly friends with you. You don’t know half of the Facebook friends you have. People go the extra mile to get to know you better. Contact Joyce Cam at [email protected].